One constant irk I have with online map tools such as the venerable, decade old Google Maps, is that the projection is fixed. Most online mapping applications use what's known as "Web Mercator" for their projection. This works great for most all of my driving and walking around needs! 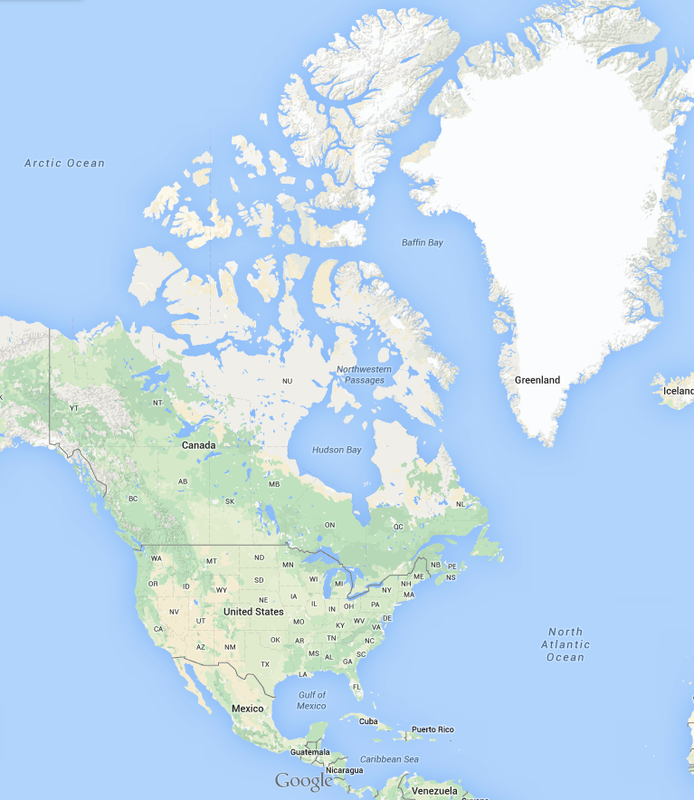 In this image Greenland is twice the size of the USA. In reality, the USA is about 5x larger than Greenland! Hilarious side note: I put this post in the blog-queue 2 days ago, yet IFLScience posted almost the exact same article as this yesterday... whoa. Kinda neat! Seeing in real time how much Mercator distorts the planet.